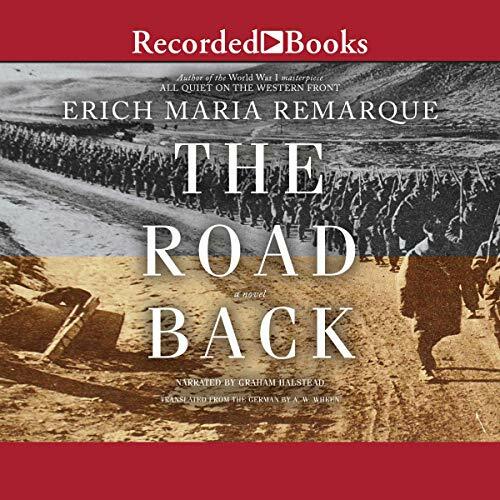 The sequel to the masterpiece All Quiet on the Western Front, The Road Back is a classic novel of the slow return of peace to Europe in the years following World War I. After four grueling years, the Great War has finally ended. Now Ernst and the few men left from his company cannot help wondering what will become of them. The town they departed as eager young men seems colder, their homes smaller, the reasons their comrades had to die even more inexplicable. For Ernst and his friends, the road back to peace is more treacherous than they ever imagined. Suffering food shortages, political unrest, and a broken heart, Ernst undergoes a crisis that teaches him what there is to live for - and what he has that no one can ever take away. If you admired Remarque's masterpiece All Quiet on the Western Front, you'll be captivated by this as well. The author's perspective could only come from one who experienced the Great War himself. His language is simple, poetic, authentic, and a great tribute to all who suffered, both during the war and when they returned home.